I made a Cucumber Dill Garlic sauce the other day and was inspired to make this chilled soup. This soup is raw so I treat this dish just as if I were juicing it, which means we eat it right away. Enjoy! -Blend all ingredients together using a high speed blender. Chill and Enjoy! Notes: I blended the first four ingredients together and then the avocado, peas and scallions separately then stirred together and added salt/pepper to taste. 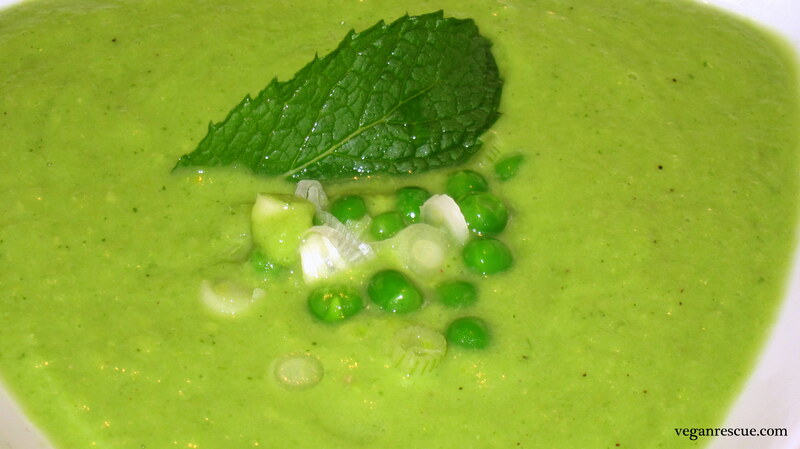 -To serve up instantly – Use refrigerated Cucumber/Scallions and use Frozen thawed Peas. Homemade Pizza Sauce – Vegan Pizza with Daiya Cheese!